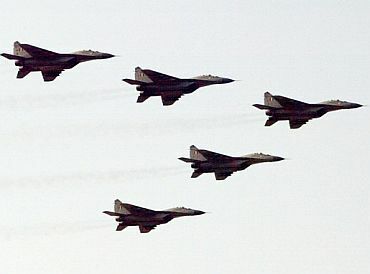 The Indian Air Force on Monday said it was short of around 600 pilots and over 5,000 personnel below officer rank while maintaining that several steps were being taken to fill up the manpower gaps. "We are short of about 550 to 600 pilots," IAF's Air Officer Personnel (AOP) Air Marshal K J Mathews told media persons at the annual Air Force Day press conference in New Delhi. AOP is the in-charge of all the personnel in the IAF, including officers and airmen. The officer said since 2009, the attrition rate of pilots in the force has been positive and the number of pilots joining the force was more than the number of officers quitting it. "We believe that this (positive attrition rate) would continue for the next three to four years and this may be due to economic downturn and may be because aspirations have changed and the emoluments at a certain level have improved drastically," he added. 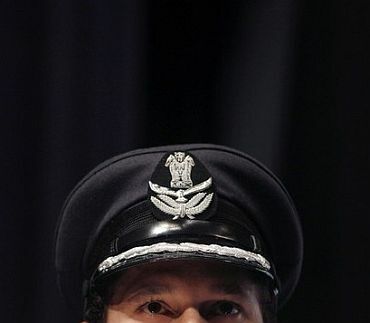 Mathews said the the IAF will also open its fighter pilots stream for short service commission officers and in the long run aims to have around 30 per cent of its pilots from this stream only. When asked if the IAF would be able to recover the money it invests in training fighter pilots at different stages in their service span, the AOP said, "That is why we have kept the short service commission at ten years. There are a lot of intricacies that go into these calculations". The IAF spends over Rs 10 crore on the training of a fighter pilot who has to fly various types of aircraft at different stages of his training. Commenting on the shortage of the airmen, he said the force was short of around 5,000 PBORs (personnel below officer rank) and was taking a number of steps, which would help it to fill up the vacancies by December 2011. 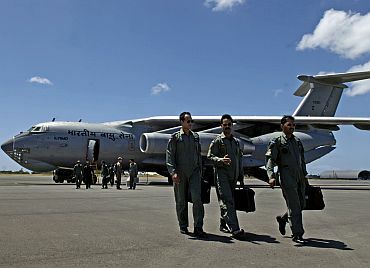 Mathews said with the IAF going in for major hardware purchases in the near future, the service would need to recruit additional 38,000 airmen by the year 2022.